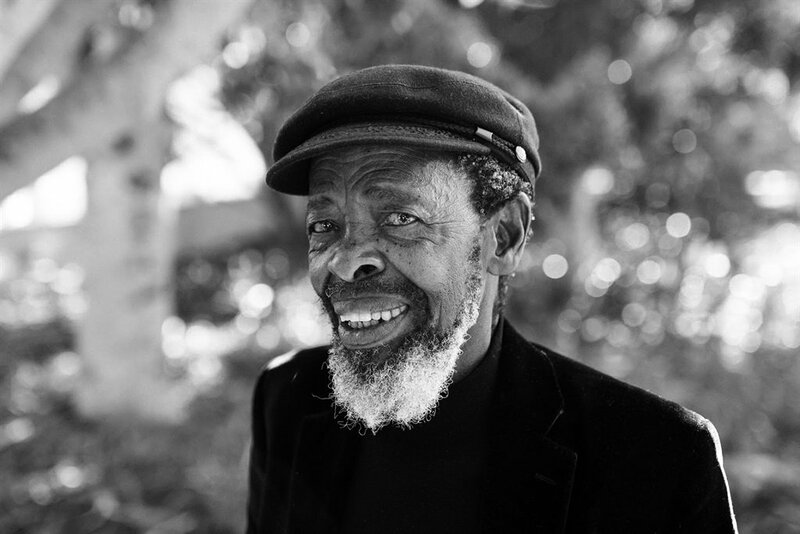 Keorapetse William ‘Bra Willie’ Kgositsile: 1938–2018. Picture: Retha Ferguson. His meagre supper with comrades Without ‘returns for services rendered’”. Bra Willie, your poetic verse has the acidity of under-ripe lemon. It burns into the open wounds of those who despair in the heat of struggle or those who forsake the purposeful fight of the people. It is acutely medicinal to those who care to heed its wise counsel. Your poetic eye pierces deep into and out of the beauty and predicament of the human condition. It brings out into the open the intrinsic virtue and the basic humanity of the struggle for higher freedoms. It makes us see deep into the festering pus of our frailties as comrades and as human beings. It throws flashlights on our frailties when they become vulgar and treacherous to the hankering desire of the people for a better life that we so often promise in compendiums of election manifestos. Your poetry castigates us with uncompromising ferocity when we dare flounder. Bra Willie, yours has been a long and deliberate stride that has left an indelible imprint on the tapestry of the heroic history of your people. Like a Secretary Bird you arose out of the vast African savannah and strode across the globe. With the striking prose in your verse and the terrestrial elegance of its nativity you stood guard at home and abroad against vicious serpents that threaten the course of freedom. For some inexplicable reasons you have chosen to take leave of us at this time of tumult and painful self introspection and self castigation within your glorious movement, the African National Congress. You have chosen to depart at this time when your movement is working hard to try to wrestle and bring under control what have been deeply embedded and largely self-­inflicted factional and political corrugations. It is the time when the importance of your wisdom is second to none. After all, this is your beloved movement whose historical pedigree defines the very best traditions in the annals of resistance in the African continent. We know, Bra Willie, that you are about to take occupation of your final abode. But we wish that you turn around just for once and look at us. We thirst for your final and last word of castigation, or wisdom, or guidance. You might want to remind us of the words of that African son you loved. Bra Willie, I talk here on behalf of former uMkhonto WeSizwe cadres and soldiers that grew up under your watchful eye. You taught us the best traditions of sacrifice and the commitment never to forsake the course of freedom. You never sought to impose your political seniority on us, nor your intellectual greatness, nor did you ever subject us to the lashing of your quick-witted tongue when we faltered. Like an elder brother that we never had in our exile life, you cajoled and urged us in directions that were noble. You apportioned to us credit when it was due. You imparted to us machine guns of liberation that spit out the fragrance of flowers. It was but the flowers that were to bloom large with love. Our machine guns, you said, would liberate and emancipate both the oppressor and the oppressed. You mentored us to become complete and rounded uMkhonto WeSizwe cadres who stood behind a barrel with a muzzle festooned with flowers of universal human love. Yes, as you said, the armed struggle is only an act of love. You told us the machine gun in the hands of an MK soldier was a ploughshare that would cultivate a new African civilisation. You told us to fight for an exalted African civilisation that would reach far beyond what humanity has experimented in the many past centuries of endeavour. Your voice, Bra Willie, desired not simply the African celebration and nostalgia that is often invoked by the advanced geometry, the algebra and the Pyramids of the Egyptian Pharaohs, nor the ancient civilisations of Mapungubwe or the medieval Great Zimbabwe or indeed the gold alchemy of the Ashanti kingdoms. You desired not simply that we emulate the civilisation of the Greeks, the Romans, the Americans or the Europeans. You saw in us a civilising mission that could arise only with a generation that had drawn its wisdom from the melting pot of all those past human endeavours. You saw a civilisation that is truly African and universal in appeal. The civilisation you have communicated to us, Bra Willie, is couched in the humanity of your poetic voice and poetic verse. It is imbued with something that goes beyond the geometry, the algebra, the medicine and the alchemy of gold in modern science. It is imbued in the culture and values that only the poetry of humanity can communicate. As Pixley ka Seme would say: “The most essential departure of this new civilisation is that it shall be thoroughly spiritual and humanistic – indeed a regeneration moral and eternal”. Bra Willie, you are our celebrated National Poet Laureate. Like the Secretary Bird that straddles our national Coat of Arms, your verse shall forever remain in the conscience of the nation. You are now interwoven into the fibre of our nationhood without which our essence will not be complete. Your verse is like an innocent chirping of a bird that complements the beauty of nature with its tuneful melody. Sometimes little do we realise that the Entabeni and the Hanglip forests of Limpopo would be gripped in dark ghoulish silence were it not for the singing of the birds that form part of its ecological habitat. The dawn of our African village would be full of dark and dirgeful meditations were it not for the transcendent voice of the African Nightingale. Bra Willie, the time might have arrived for you to depart from us but your verse shall remain the guiding conscience for the political organisation that made you the national treasure that you are, as well as for the country that you loved so dearly. If we fail you Bra Willie, it will not be because you have not played your role as a teacher and guiding conscience. As you depart, your verse will continue to tell us that if we claim easy victories in order to masquerade as heroes, then we are debased demagogues that fit only the image of charlatans. If we lie to the people and to ourselves and believe our own dishonest propaganda, then we are empty of substance and integrity and are thus not fit to demand the exclusive right to govern. If we corrupt, smash and grab the family silver in order to satisfy the basest human instinct of crass materialism and greed, then we cannot lay claim to any political honour in the eyes of the people. If we do not honestly seek to eradicate the historical injustice of landlessness of the people and transform the economy in the image of the demographics, history shall not absolve us. As long as we continue to shed the fortunes of the ANC in every subsequent electoral process, and yet proceed to consume ourselves in cloaks of political party arrogance, hubris and factional fights, then we are incapable of understanding the language of the people. Bra Willie, if we fail to heed all that, then we shall have betrayed you, we shall have forsaken the people of our country and the glorious traditions of the ANC. We are here, Bra Willie, to commit not to forsake the course you served.